Hawaii is an awesome destination. It has beaches, mountains, and thanks to Southwest’s upcoming flights to the island state, very cheap flights. But at what point does the effort to actually get there outweigh the possible destination? Passengers on one such flight to Hawaii, which had to return to LAX three times for unrelated issues, might be able to answer. 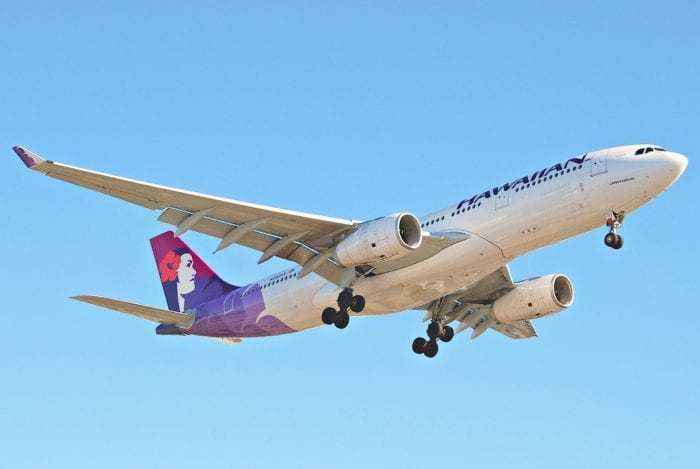 Hawaiian Flight HA33 was en route on a normally scheduled service between LAX and Maui when about 30 minutes into the flight the flight crew noticed that they had a warning from the onboard system. Because Hawaii is so remote and the plane would not be able to land most of the way, they decided to return back to LAX. After double checking back at LAX, the A330-200 was then cleared for takeoff and resumed its route. But then suffered an unrelated issue and again, returned back to the Airport. The route taken by the plane on its first attempt to cross the Pacific. To try and get passengers to their final destination, the plane attempted a third time to fly the 5-6 hour route. Alas, this time the pilot decided to not even attempt a takeoff, return to the gate and cancel the flight, for you guessed it, unrelated technical problems. What caused the problems with the flight? At this stage, Hawaiian has been reluctant to reveal any details as to why the plane was unable to go to Hawaii. However, they have come out praising the captain and the crew for taking no chances. What happened to the passengers? The 207 passengers onboard HA33 were given a $100 coupon towards a future flight on Hawaiian, hotels for the night (plus food) and placed on the next available flight to the island. It is unlikely to be stuck on a plane that keeps having mechanical problems, but admittedly, I’d much rather have faults on the ground in LAX than three hours into a six-hour trip across the Pacific. What do you think? Did the pilot do the right thing? Safety first. Better to solve problem in the ground. When the airoplane give any simple warning that u dont feel safe to continue your flight. Dont think twice than you gonna regret . Passengers get upset but the final decision in the plane is the captain. People can complain but if anything get wrong they gonna say why the captain continue with the flight with the problem or why he didn’t contact the tour as emergency. Hats off to the Captain, Crew and all Hawaiian staff involved! Having flown Hawaiian Airlines no less than 60-70 times over the past 12 years I know the anticipation, of travel to the Islands, as a part time resident there. I have witnessed many people that have saved and waited for the cherished “dream trip” I know first hand the disappointment however, I’m confidant reasonable folks will understand the importance of these potentially lifesaving critical decisions. As an seasoned traveler and experience as captain in charge of much smaller aircraft, I offer praise to the Hawaiian staff especially the Captain in charge.